Greg Flores holds his Masters of Music degree in Instrumental Conducting from the Cole Conservatory of Music on the campus of CSU Long Beach, and studied with Professor Emeritus Larry Curtis and Dr. Johannes Muller-Stosch. Mr. Flores was the Graduate Assistant for the University Symphony Orchestra and the advanced Undergraduate Instrumental Conducting classes. While earning his Bachelor of Music degree in Instrumental Music and Trombone Performance, also from California State University, Long Beach, he was a student of Jeffery Reynolds, Bass Trombone for the Los Angeles Philharmonic Orchestra (now retired). 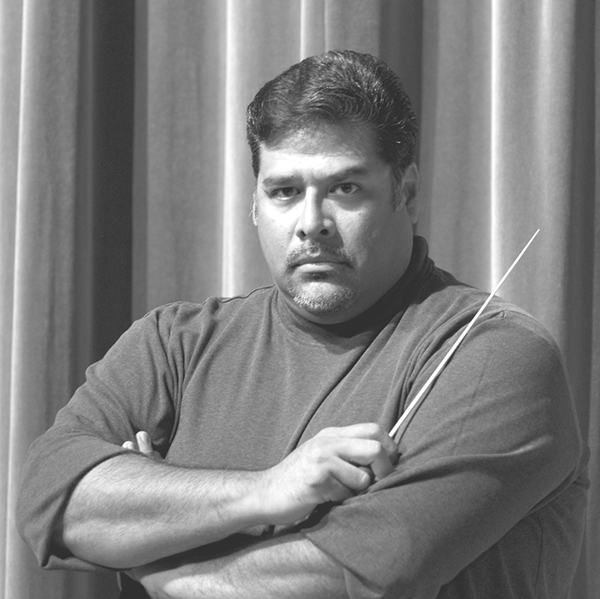 In 2008, Mr. Flores was appointed Conductor and Musical Director for the Long Beach Community Band. The Shoreline Symphonic Winds, a 70-piece Wind Ensemble, and the Blue Pacific Swing Band are the major ensembles of the Long Beach Community Band. Prior to his work in Long Beach, Mr. Flores was the Director of Instrumental Music at Kasuo Masuda Middle School in Fountain Valley where he directed the band and orchestra, and was the Associate Director of Instrumental Music at Fountain Valley High School. While at FVHS, his duties included the direction of the marching band, jazz ensemble, percussion ensemble, and conductor of the Wind Ensemble. Mr. Flores was also the director of the music theory program at Fountain Valley High where he developed, instituted and taught both basic music theory and Advanced Placement music theory courses. Mr. Flores is also an accomplished arranger, an active bass trombonist, and a sought-after clinician and adjudicator. He was recently designated the Tama by Kanstul Marching Brass Product Specialist for Hoshino U.S.A., the parent corporation for Tama Drums and Ibanez Guitars.